House of Laughs: Will the Real Kevin Spacey please stand up? 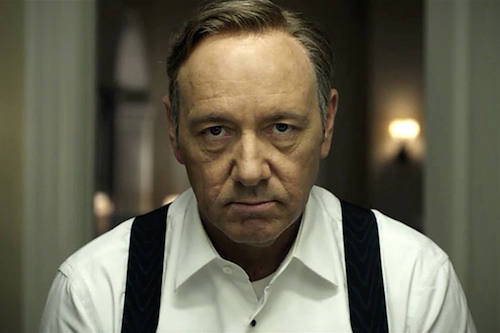 DRY, DEADPAN, ICE- COOL: just some of the adjectives that one could associate with the inimitable Kevin Spacey. The two- time Oscar winning actor whose performances in Se7en, The Usual Suspects, LA Confidential and American Beauty saw him cast in some of the most memorable and iconic films of the 90’s, has an on- screen personality every bit as distinctive as that of Jack Nicholson or James Mason. Fitting, then, that Spacey is one of the most brilliant and frighteningly accurate mimics alive. Don’t take my word for it; check out his impressions of Jimmy Stewart, Marlon Brando, Jack Lemon, Johnny Carson, Katherine Hepburn, Al Pacino and John Gielgud, to name but a few, as well as his much- fabled impression of Christopher Walken.